What is a Colorado mechanics' lien Claim? A Colorado mechanics lien is a document that is filed with a local clerk's office to notify owners and potential owners of a specific property that someone is owed money for work they performed or materials they provided on a construction project. Mechanics liens in Colorado attach to the property, and, similar to a mortgage, encumber the property, making it difficult to sell, transfer or obtain financing until the mechanics lien is removed. The filing of mechanic’s liens in Colorado are a result of statutes enacted by the Colorado legislature: Colorado lien laws (C.R.S. §38-22-101 et. seq. (“Lien Statute”)). Since the Colorado mechanics lien law is a statutory creation, it is strictly construed by the court, which means that the requirements of the law must be followed to ensure the mechanics lien will be valid. In Colorado, liens filed on private property or on funds relating to a public project are known as Mechanic's Liens. When a lien is filed with regard to work performed on privately owned property, it attaches to and encumbers the fee simple ownership of property. Liens filed with regard to public projects attach to the funds held by the public owner. Who can file a Colorado mechanics' lien Claim? Contractors, as well as subcontractors, design professionals, sub-subcontractors and material suppliers can file a mechanics lien. Specifically, the Colorado mechanics lien laws permit a mechanics lien to be filed in Colorado by "every person who furnishes or supplies laborers, machinery, tools, or equipment in the prosecution of the work, and mechanics, materialmen, contractors, subcontractors, builders, and all persons of every class performing labor upon or furnishing directly to the owner or persons furnishing labor, laborers, or materials to be used in construction, alteration, improvement, addition to, or repair, either in whole or in part, of any building, mill, bridge, ditch, flume, aqueduct, reservoir, tunnel, fence, railroad, wagon road, tramway, or any other structure or improvement upon land, including adjacent curb, gutter, and sidewalk, and also architects, engineers, draftsmen, and artisans who have furnished designs, plans, plats, maps, specifications, drawings, estimates of cost, surveys, or superintendence, or who have rendered other professional or skilled service, or bestowed labor in whole or in part, describing or illustrating, or superintending such structure, or work done or to be done, or any part connected therewith, shall have a lien upon the property..."
Are pre-notices for a Colorado mechanics' lien Claim required? Yes. Colorado does require that a Notice of Intent to File a Lien Statement be sent at least 10 days prior to filing a Colorado mechanics lien statement. In order for a mechanics lien in Colorado to be valid, the claimant must provide a copy of the Notice of Intent along with the lien statement, and indicate that the notice of intent was sent to the owner and to the prime contractor. The notice of intent, while it is not a lien, must include any and all of the information that will be included in the lien statement. Once the notice of intent has been provided to the owner and general contractor, ten days must pass before the Colorado lien statement can be filed. 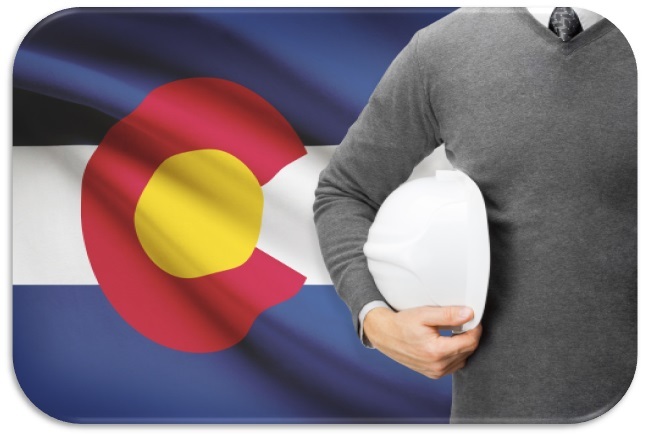 In addition to a Colorado Notice of Intent to File a Mechanics Lien Statement, it is strongly suggested that a Preliminary Notice of Delivery of Labor and Materials be provided. This Colorado prelien notice provides important information to the owner of the property and construction project, giving them knowledge of who is on the project at any given time, and the work being performed or materials being delivered. When payment is overdue, the owner having knowledge of who is providing labor or materials can be extremely helpful in resolving any disputes. Can you file a Colorado mechanics' lien Claim without a Notice of Intent to File a Colorado mechanics lien (prelien notice)? In most cases, attempting to file a Colorado mechanics lien without first sending a Notice of Intent, or filing a lien before 10 days has passed since sending the Notice of Intent, will render the lien invalid. Prelien notices are required to be served prior to filing a Colorado mechanics' lien claim, and a failure to do so will destroy any chance of obtaining an effective mechanics lien. When should a Colorado mechanics' lien Claim be filed? The filing of a Colorado lien statement must be completed within four months after the day on which the lien claimant last performed labor or furnished materials. The Colorado lien laws set forth the timing of the filing of a lien, and in many cases the lien cannot be filed unless it is within the time period set by the Colorado mechanics lien law. How much does it cost to file a Colorado mechanics' lien Claim? LienItNow.com prepares, files and serves Colorado mechanics' liens (which includes a written notice of intent to claim a lien, if necessary, as well as a verified statement of lien). A Colorado Notice of Intent and Preliminary Notices of Delivery of Labor and Materials can be ordered. For pricing information, please visit our prices page. Do I need a written contract in order to file a Colorado Mechanics Lien Claim? No. Oral contracts are sufficient if you have sufficient documentation to show the existence of an agreement or that you performed the work for which you are filing a lien. How does filing a Colorado mechanics' lien Claim help me get my money? On a private project, the Colorado mechanics' lien places an encumbrance on the property that makes it difficult to resell or refinance the property without first removing the mechanics lien. What is a Colorado Stop Notice and why should it be filed? LienItNow.com prepares and serves Colorado Stop Notices. A Stop Notice is a notification that has the ability to enhance the effectiveness of a mechanic's lien. A Stop Notice, or a notice to withhold funds, is sent to the company that is financing or funding the construction funds for a project. Once that company receives the Stop Notice, that company has notice that it should withhold sufficient money to satisfy the stop notice claim. The purpose of the Stop Notice is to provide the lender, financiers or funders of the construction project notice that there is money owed to a contractor, subcontractor or supplier so that an inquiry can be made as to why that money is not being paid. What is a Colorado Amendment to a mechanics' lien Claim? LienItNow.com prepares, files and serves Colorado Amendments to mechanics' lien Claims. Amendments to a mechanics' lien claim are often needed when something about the lien claim changes. Common changes to a lien claim are increases or reductions in the amount due to the lienor, or a change to the last date of work. When should a Colorado Discharge of mechanics' lien claim be filed? LienItNow.com prepares, files and serves Colorado Discharges of mechanics' lien Claims. Once the lienor has been paid the amount contained in its lien claim, or has come to an agreement that requires the lien claim to be removed from the property records, a Discharge of mechanics' lien Claim should be filed. How much does it cost to file a Colorado Extension of a mechanics' lien Claim? LienItNow.com prepares, files and serves extensions of mechanics' lien Claims. All lien claims expire after a certain period of time, and filing an extension of the mechanics' lien claim prolongs the expiration date. Colorado law, however, does not permit an extension of mechanics' lien claims. Can I file a Bond Claim on a Colorado Project? LienItNow.com prepares, files and serves Colorado Bond Claims. Bond claims can only be filed on a project where the owner, contractor or subcontractor has obtained a payment bond to ensure that every contractor receives payment for the work performed on the Project. The payment bonds issued by sureties for construction projects have specific timing requirements, but most require claimants to submit claims against the bond within sixty to ninety days from the claimants' last date of work. Bond claims are as or more effective than a lien claim because the payment bond acts as a guarantee that payment will be made for work properly completed. Do I need to file a Pre-Notice to make a claim against a Colorado payment bond? LienItNow.com prepares, files and serves Colorado Pre-Notices for bond claims. Depending on the terms of the payment bond, pre-notices may or may not be required. LienItNow.com recommends that, prior to or immediately after starting work or delivering materials to a project, subcontractors and suppliers, file a pre-notice that it is a potential beneficiary of the construction project's bond.